When I said I'd roll out the honorees in "random order", I meant it...I have the initial class in mind, arranged in chronological order from 1-25. I found a random number generator and had it give me a number in that range, and keep doing so until all 25 were represented. I figured this would give the articles a little less predictability. If you keep reading this series, you'll notice the constant debate with myself over whether to acknowledge the games that originated a concept or ones that refined it to a diamond, and there doesn't seem to be a real "right answer". But, either way, I'll make sure to try acknowledging both special types of game. Considering the randomness of my ordering process, I'm pleased that the first number to come up fittingly corresponded to a game entirely built on the "agency" that gave this collection its name. Designer Warren Spector already had top-notch experience creating deep and immersive worlds for the player to work with; he played a major part in the creation of System Shock, a pioneer in the sci-fi shooter style that Deus Ex ...expands on (pun somewhat intended). So, in 1994, after years working on the fantasy worlds of Ultima and the sci-fi horror seen in System Shock - both relatively common genres - he wanted to do something different. In the late 90s, when Ion Storm and John Romero's money came calling with the promise of freedom, he jumped at the chance, and funneled that freedom into an original game that would be remembered for years to come. 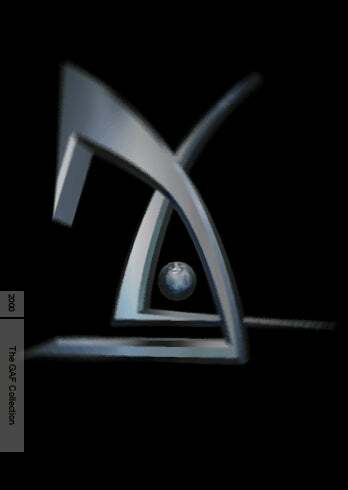 Centered on a dystopian future filled with conspiracy theories, secret organizations, rampant terrorism, a widening gap between the rich and the poor, and government overreach as a way of life, Deus Ex seems eerily prescient in this post-9/11, PRISM-filled age. Indeed, even some of its design coincidences look predictive: design limitations caused artists to leave the World Trade Center towers out of the New York skyline. Their explanation? A terrorist attack. Again, this game came out in 2000. You play as JC Denton - reports differ whether the JC was meant to refer to Jesus Christ or simply allowed the player to remain anonymous/genderless, before he became a "he" - and are tasked with working for some of the shady organizations in control of this future world. Such a straightforward task was never destined to hold, however, and soon enough JC and his brother are sucked into a complex whirlpool far deeper than they could imagine. How the player deals with this world, though, is what made Deus Ex a classic. The degree of augmentation comes straight from the RPG world but was rarely seen in such a different environment, with FPS trappings and a storyline branching in a far different manner than just having multiple endings. Directly inspired by Spector's earlier work in System Shock, it was in Deus Ex that the concept grew into the groundbreaking force now seen in games like Mass Effect and even Grand Theft Auto. You could truly go about the game however you saw fit, even potentially offing two bosses before their "proper" place. "Other games in the decade of the 2000s had more action. A few may have been more intelligent or more emotionally satisfying. But no other game succeeded so well in combining all three of these modes of human expression to create a single coherent gaming experience for the hands and the head and the heart"
Deus Ex took the best of familiar genres and turned it into something so special it has been often acclaimed as one of the greatest games of all time. And while the series has continued onward, the original still holds up rather well. Give it a whirl...and play it how you want to. Here's a postmortem on Deus Ex from Warren Spector. You can download this classic title right now on Steam or GOG. Coming up next: the lost art of bullet hell.